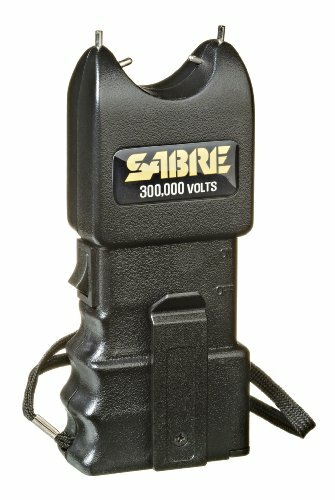 With a 1.600 µC charge, this SABRE stun gun is extremely strong, producing ‘intolerable pain’ according to the National Institute of Justice. Empower yourself with extreme stopping power when you need it most. 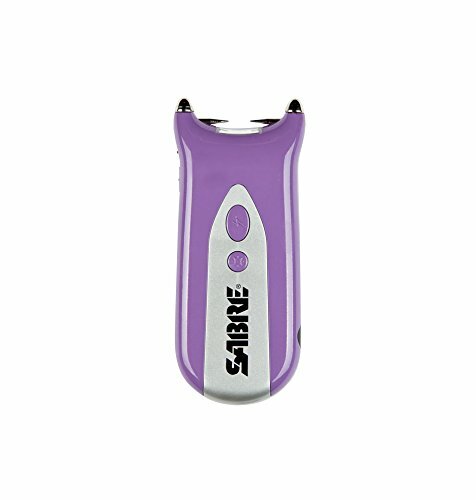 The 120-lumen LED flashlight may help you disorient from a distance, possibly allowing you to escape to safety before needing to use the stun feature. Emitting an intimidating 95 db sound—as loud as a subway train—attracts attention, alerting people nearby. The unit is rechargeable with a built-in plug, saving the expense of batteries. 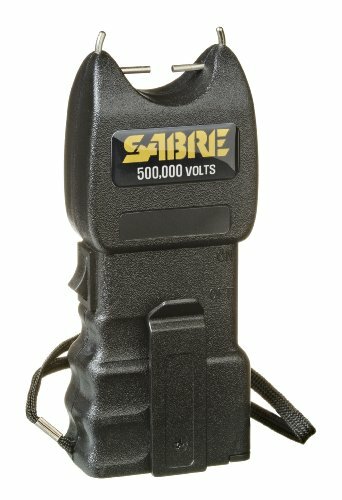 You've seen plenty of extremely high voltage claims - possibly up to 100 million volts. 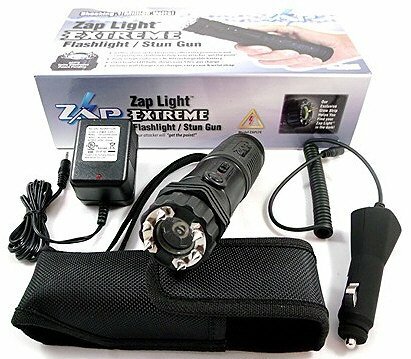 These astronomical figures sound impressive, but in truth, when it comes to stun guns, these claims are wildly misleading AND physically impossible. 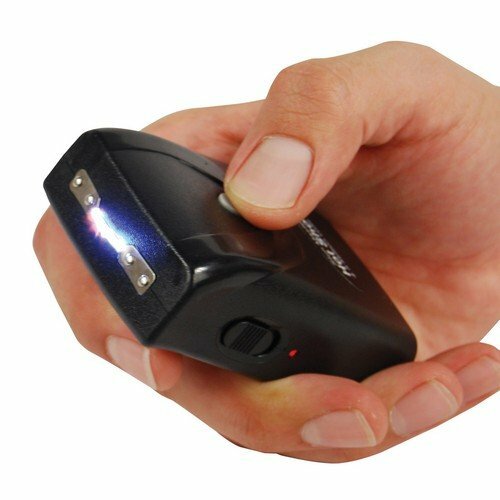 Unfortunately, there’s no government regulation in the stun gun industry, leaving consumers vulnerable to products that aren’t as strong as they claim. GET THE FACTS – WATCH THE VIDEO ABOVE! 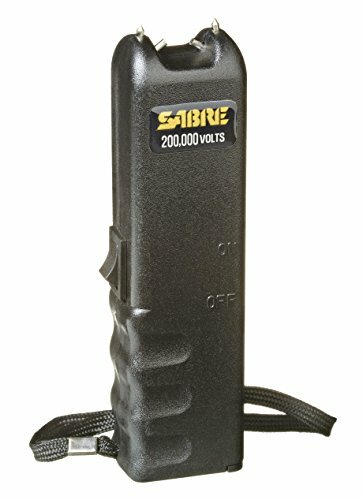 Charge, measured in microCoulombs (µC), indicates stun gun strength according to the NIJ—not volts. 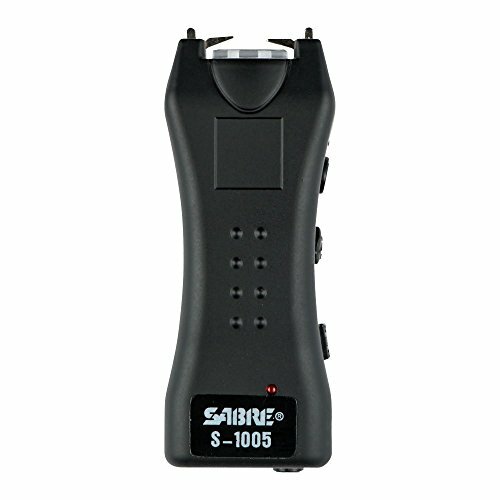 Family owned and operated for more than 40 years, the Security Equipment Corporation is the #1 brand trusted by police and consumers worldwide for pepper spray and is a leader in developing safety programs and videos for end users. Protect yourself today! Safe Is Smart!